This title provides a superb introduction to the dramatic landscape art of 17th century Dutch artist Jacob van Ruisdael. Windmills were ubiquitous in 17thC Holland and they remain the best-known symbol of the Dutch landscape. Jacob van Ruisdael (c.1628-82) first depicted them as a precocious teenager and continued to represent all types in various settings until his very last years. Water mills, in contrast, were scarce in the new Dutch Republic, found mainly in the eastern provinces. Ruisdael discovered them in the early 1650s and was the first artist to make water mills the principal subject of a landscape. 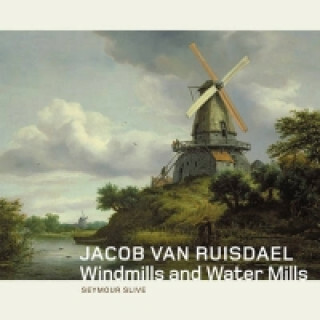 His most celebrated painting, Windmill at Wijk bij Duurstede at the Rijksmuseum, and the J. Paul Getty Museum's Two Undershot Water Mills with an Open Sluice are the centrepieces of this overview of the artist's depictions of windmills and water mills. This book examines their role in Holland and introduces readers to the pleasure of studying Ruisdael's images of them.